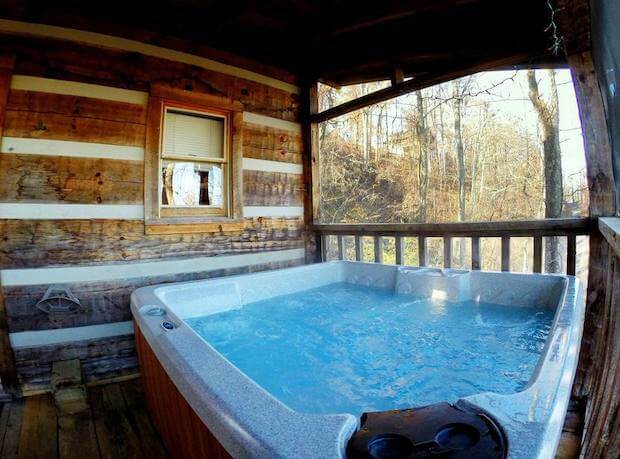 Here’s a lovely mountain home in Pigeon Forge, Tennessee with lot’s to offer! 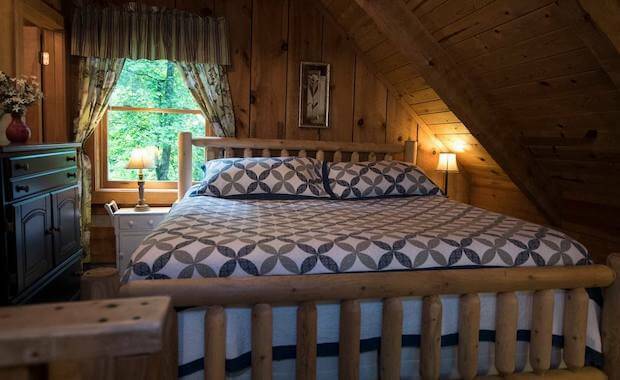 This rustic log cabin home can accommodate up to four guests, two in the main bedroom and two on the pullout sofa bed downstairs. Enjoy the beauties of nature with stunning views of the mountainside and lush forests. There are nearby hiking opportunities for you, especially to the top of Pine Mountain. 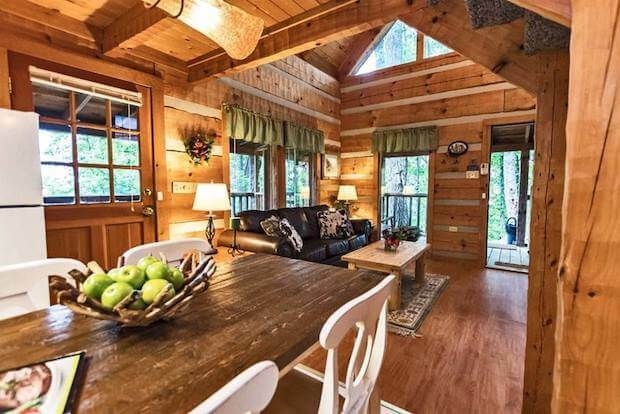 The cabin itself has spacious interiors, with an open floor plan ground floor and vaulted ceilings. 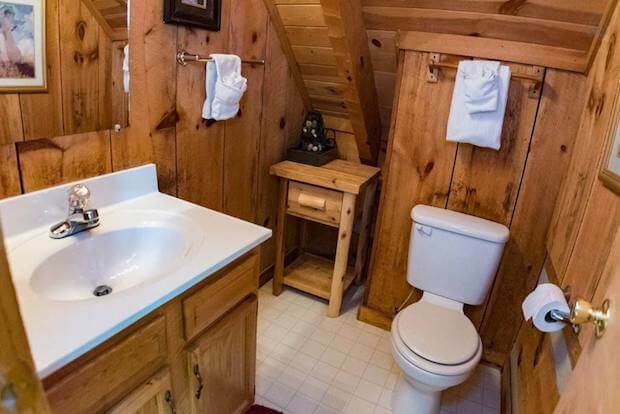 The home has a rustic design with modern conveniences. Large windows capture the stunning views of the outside scenery while providing natural light to the inside. 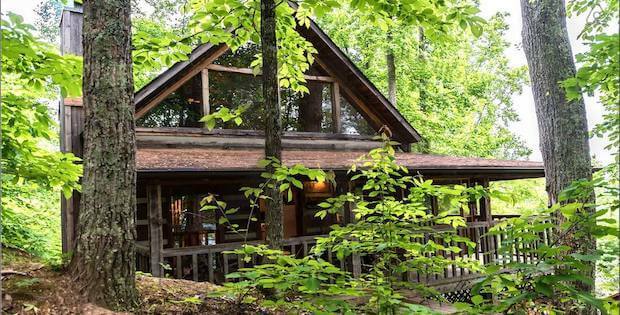 Escape into this nature retreat for around $135 per night. 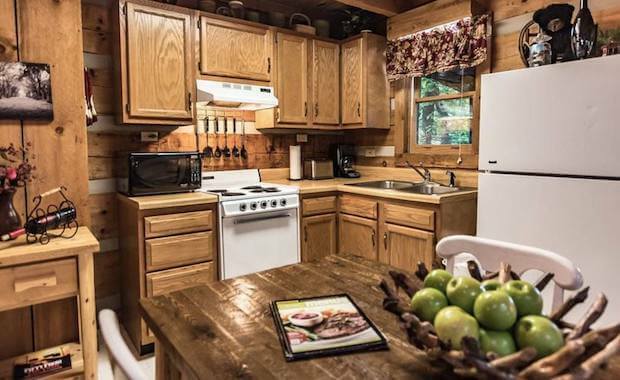 100% of recent guests gave this home a 5-star rating, and it’s time for you to see why! 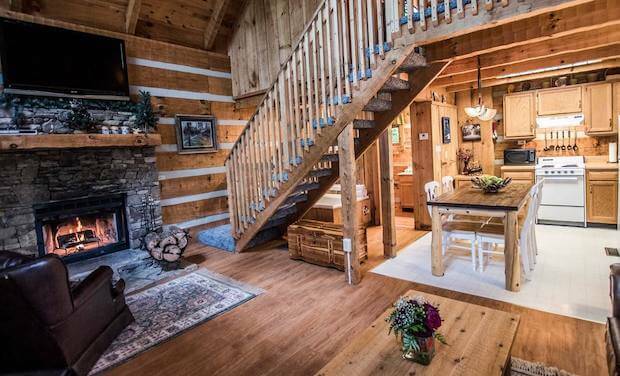 Nothing says you’re in a cabin in the mountains like the smell of a fireplace! Real wood fireplace is open from October 1 to May 1. Pick up a couple of stacks of firewood and a starter log on your way. 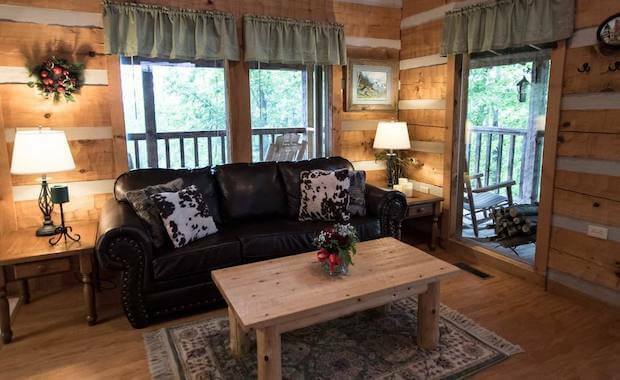 Don’t worry if you’re snowed in – there is fast Wi-Fi, Apple TV 4, 52″ LCD, and a small DVD library at your disposal. In late spring and summer lush foliage obscures distant views making it feel like you’re deep in the forest.